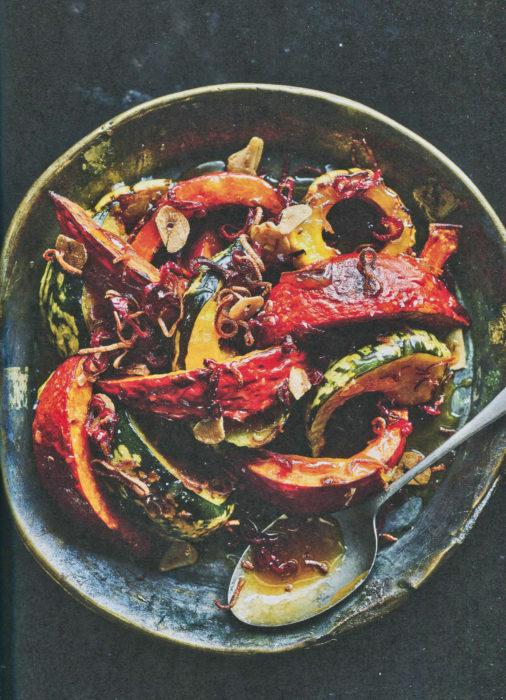 The subtitle of this delightful book is Big, Bold Vegetarian Food. Let’s be honest: “vegetarian” is a word that can rattle some folks. You know, those vegetarian books and authors that preach to us and offer up recipes that frankly are awful. Awful. Most happily, this isn’t that kind of book. This isn’t that kind of author. 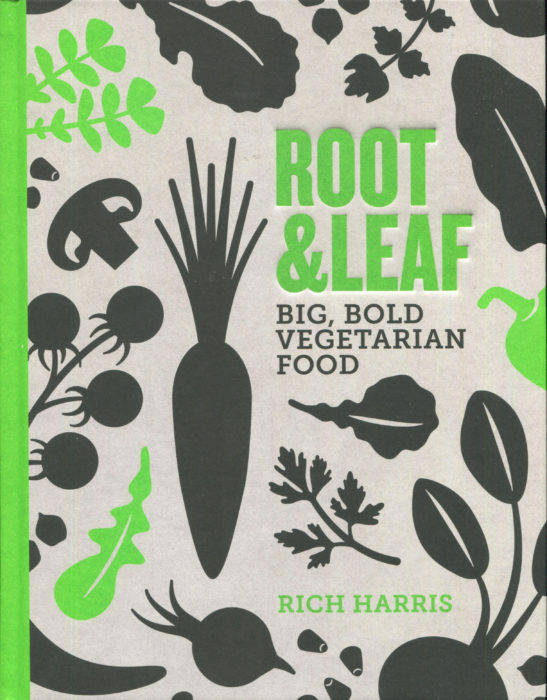 In fact, Rich Harris is a most prominent British author and TV personality who is not vegetarian. It just that, he notes, sometimes you just don’t need anything but veggies to fashion a great dish. Greatness here is easy to define: great concepts, deliciously desirable, total eye appeal, and pumped with flavor. Breakfast, lunch, dinner, snacks, salads, sides and even some pickling ideas are presented in the book’s ten chapters. The recipes are inventive with new twists on old friends — like onion soup made with caramelized onions for intense flavor — or introductions to totally new schemes for your table — like chargrilled greens sitting atop a bowl of garlic custard. Yes, a whole bowl! Some of the recipes are quite simple: Sichuan-Spiced Eggplant. And some will take you a little time: Whipped Yellow Peas with Spicy Eggplant and Shaved Fennel. This is very much a plan-ahead cookbook. Most of the recipes need a dozen ingredients or so, and there can be a couple of sets of steps to produce elements that are finally composed into the ultimate dish. His Green Gazpacho, for example, employs a topping of Pickled Apple for surprise and pleasure. 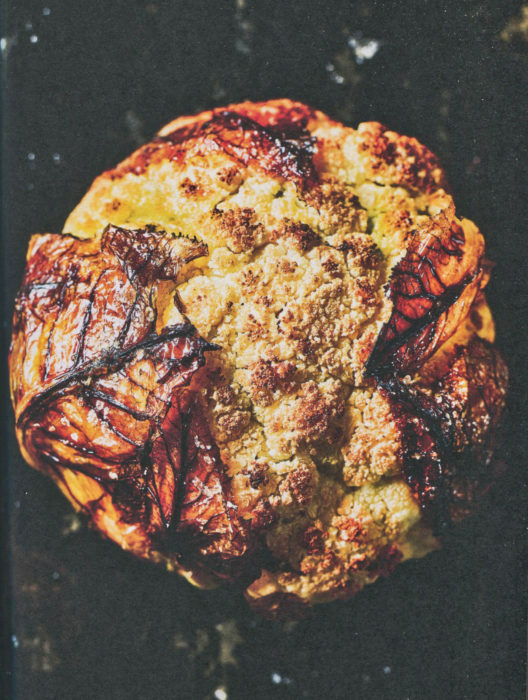 This is the perfect cookbook for a fall afternoon. Spread out your veggies. Sip a beer. Take your time and be prepared to be happily amazed. No steak, no chicken, no salmon. Just perfect food to make you sigh and smile.